Dorm rooms at universities around the UK are great alternative choices for cheap accommodations in pleasant, historic and often exciting surroundings. During vacation periods - which include Easter and Christmas breaks as well as summer vacations (mid June to September)- you might choose to stay in a medieval residence hall, a 12th century castle or an architecturally stunning building on a brand new campus. Accommodations usually include big English breakfasts - plus cereals, breads, fruits and juices - taken in magnificent 17th, 18th and 19th century dining halls (the Great Hall at Hogwarts comes to mind). Inexpensive lunches and dinners may also be available. Here and there you may also find suites with multiple bedrooms and shared kitchen facilities - suitable for traveling with a family, perhaps. And, most are available for about the same price as reasonable quality hostel rooms. Expect daily cleaning services, private shower rooms or bathrooms in many dorms, internet broadband, linens and towels and, sometimes, coffee and tea making facilities. At one time, dorm rooms also offered telephones activated by phone cards that could be purchased, but in this era of smart phones, very few do that anymore. Private rooms Shut the door and you are on your own, unlike hostels where you may have to share with strangers. Brilliant locations Dorms are often in city centers or in the heart of lively student districts, with all the pubs, bars, clubs, restaurants, shops, theater and cinemas you could want. Access to hallowed precincts At the UK's most historic and prestigious universities there are fascinating areas - private quads and courtyards, chapels, ancient dining halls - not open to the public. When you book a room, you get a brief insider's look at places like Oxford and Cambridge. Lie down where the great and good as well as the rich and famous have been before you. In their day, these rooms were occupied by presidents, princes and prime ministers; scientists and philosophers; artists, musicians, writers and actors. And, if you're lucky enough to find a chatty hall porter, he'll probably tell you all about who lived in your room before you. Seasonal limits to availability Rooms are only available outside of term time, when students are away. The exact dates vary from one university to another. Rooms can't be booked too far in advance. Available rooms are usually listed two to three months ahead of time. If you are a nervous type who likes to have all the details pinned down a year ahead of time, these may not be for you. Most rooms are singles obviously awkward for couples traveling together. But there are some twin rooms and (for a price) Durham Castle, part of Durham University, has some spectacular state rooms - furnished with four-posters and the trappings of elegance - which can be had for some special celebration or event. Simple furnishings These are student rooms, so with the exception of a handful of special accommodations, like the state rooms at Durham Castle, don't expect boutique hotel surroundings. Furniture tends to be good, institutional quality basics with generous storage space. You could find yourself in the middle of a conference crowd Booking college dorm rooms for individual travelers is relatively new at UK universities but they've been hiring out their dorm rooms to conferences and seminars for years. Don't be surprised if you find yourself in the middle of one. Occasional shared bathrooms While the movement in newer college accommodations is for private or semi-private bathrooms, some of the more historic buildings cannot accommodate that. And the cheapest rooms may have shared bathroom facilities. If you like to finish a day of sightseeing with a long soak in your own bathtub, you may be out of luck. University Rooms.com can help you locate and book rooms at about 50 UK universities as well as college accommodations all over the USA, Europe and Asia. 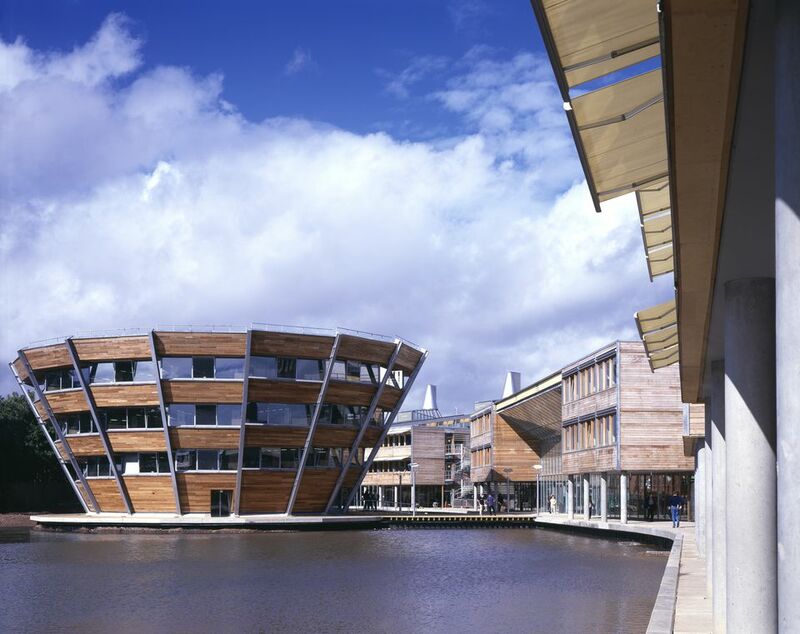 In the UK, Oxford, Cambridge, Canterbury, Bristol, Nottingham and Newcastle universities are all in the list along with several London academic locations. The website has pictures of the campuses, the rooms and the hall facilities as well as up to date availability information and prices. Before you opt for historic Oxbridge, check out 170 Queen's Gate in South Kensington, with access to Imperial College's sports center and 25meter pool, or Nottingham's knockout Jubilee campus. Search the University websites. Durham, for example offers 1,500 en suite and 3,000 standard rooms but you have to hunt around a bit to find them. For some reason, the University's Individual Traveler website occasionally delivers you to a Google page. But persist. The rooms are very nice and very good value, ranging from £46 to £100 per night in 2018, depending upon size and campus. Single, double and twin rooms are available and include full English breakfast. Accommodations are at the Collingwood College and University College campuses. The Castle, part of University College at Durham, has its own dedicated Durham Castle accommodation website. The Castle state rooms are available year round and, because of their special character, are quite a bit more expensive than normal dorm rooms. But there is also a good selection of student rooms, starting at about £38 per night for a single, with breakfast in the Castle's Great Hall. And guests booking dorm rooms in Durham Castle also get a complimentary castle tour.